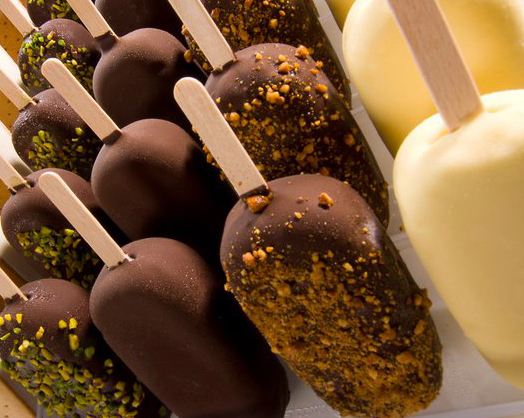 Italian style Ice Cream & Frozen Treats Made Fresh for Your Event. Serving the Ann Arbor area. We make everything to order, often on the day we serve it, so it is always fresh just for you. Because every batch is custom prepared, we are able offer a wide range of flavors and ingredients. Whatever you can think of, we can make! We use traditional techniques learned from an Italian gelato maestro as the basis for all of our recipes. Italian-style ice cream (aka gelato) has less cream and air than typical American ice cream. Whatever we call it, we hope you call it heaven! Our artfully crafted menu ranges from traditional Italian recipes to combinations of ingredients, textures, and flavors you might have only dreamed of. We love to add quirky toppings and sauces to create that “wow” sensation in every bite. From local dairies for the freshest milk and cream to the Bronte region of Sicily for the best pistachios in the world, we seek ingredients that are flavorful, authentic, and pure – no matter where we have to go to find them. The prettiest vintage ice cream truck in Michigan. Hire Ingrid for your wedding reception, a corporate event or any special occasion and serve your guests in vintage style. Ingrid is a 1965 International Harvester Metro Van lovingly restored in Ann Arbor, Michigan. Don’t have room at your event for our truck? No worries. 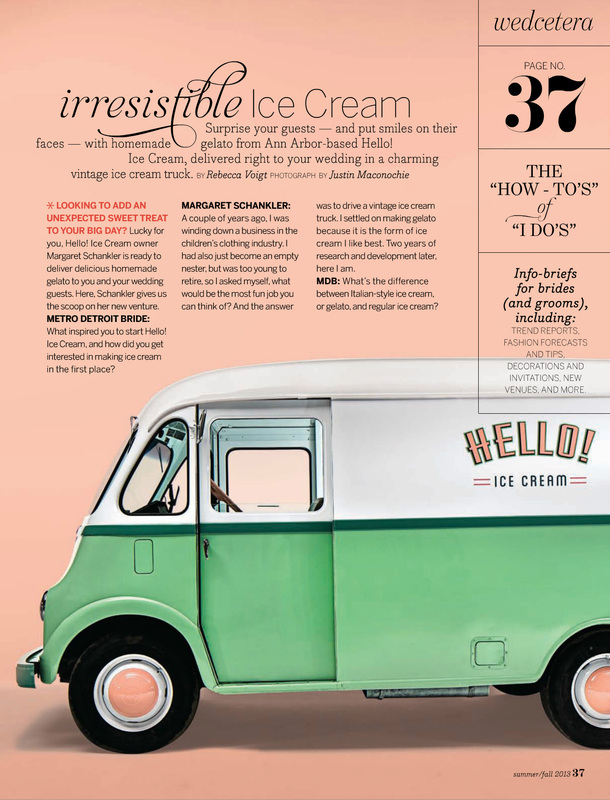 Hire our retro-inspired ice cream cart instead. 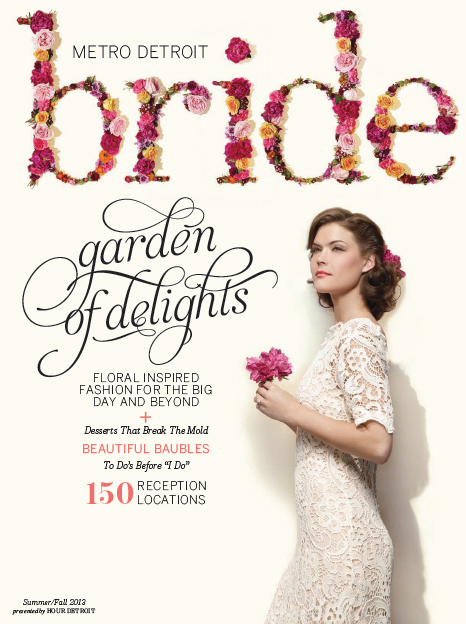 Fun features include an iPad menu display and interactive waving hand sculpture. No matter how you choose to serve them, our gelato and frozen treats will wow your guests because we use the finest ingredients and make everything to order, fresh for your event. We can also prepare custom orders for pick-up or delivery. 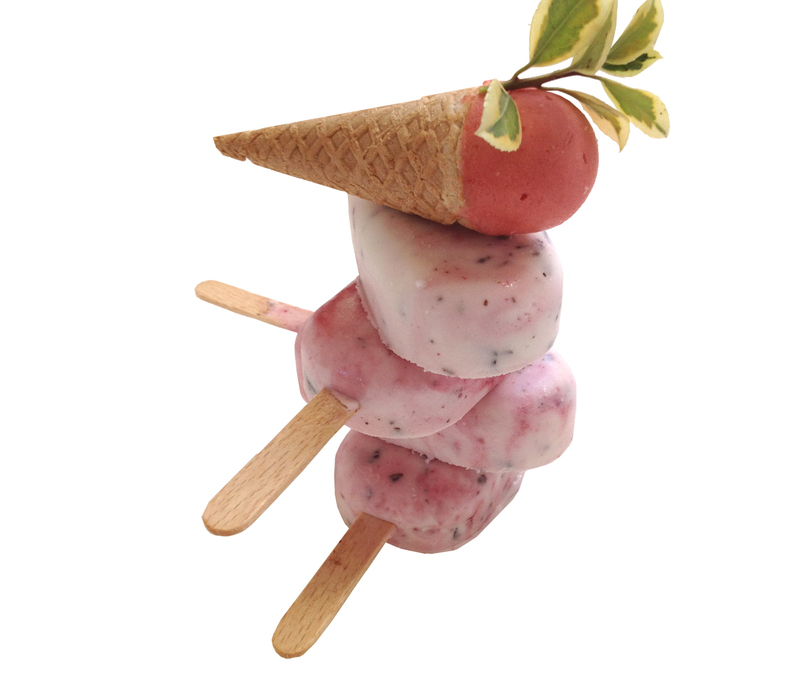 Like all our sorbetto, our strawberry lets the fruit shine. In the words of one 6 year old fan, “it tastes more like strawberry than strawberries!” Nuff said. A traditional favorite in Italy, Zabaglione is a silky custard of eggs, cream and marsala wine. Our version has a hint of cinnamon & nutmeg, topped with wine-soaked raisins, almonds & figs. 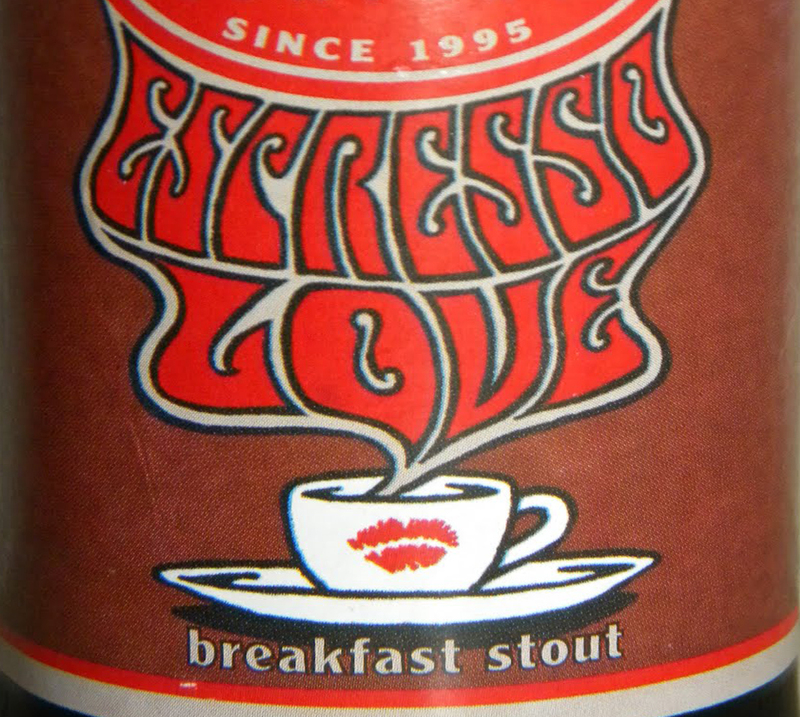 “Espresso Love”, a stout beer from Ann Arbor Brewery, and Dutch cocoa combine for a deep dark treat for beer lovers and chocolate lovers alike. We infuse organic tahini (sesame paste) and honey-soaked figs into milk and cream to create a unique flavor that is sweet and savory. 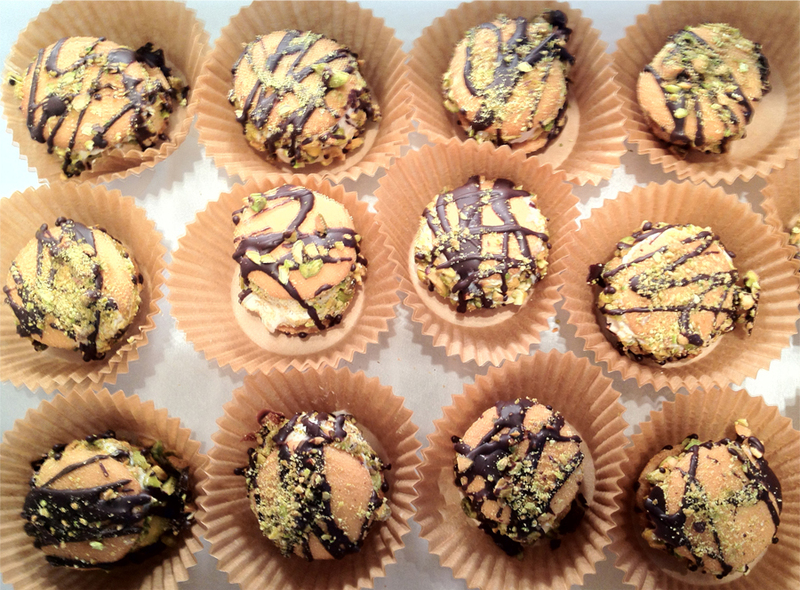 An Italian classic, made with pure, 100% Sicilian pistachios from the Bronte region. Roasted organic whole pistachios from California add a bit of salty crunch. We infuse locally roasted espresso into cream and milk and age the mix overnight to create a deep, intense coffee flavor. 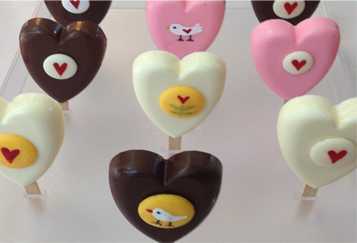 These decorative pops are a sweet way to say I love you. Heart shaped gelato bar is covered in naturally colored white chocolate. Hand painted designs are optional. 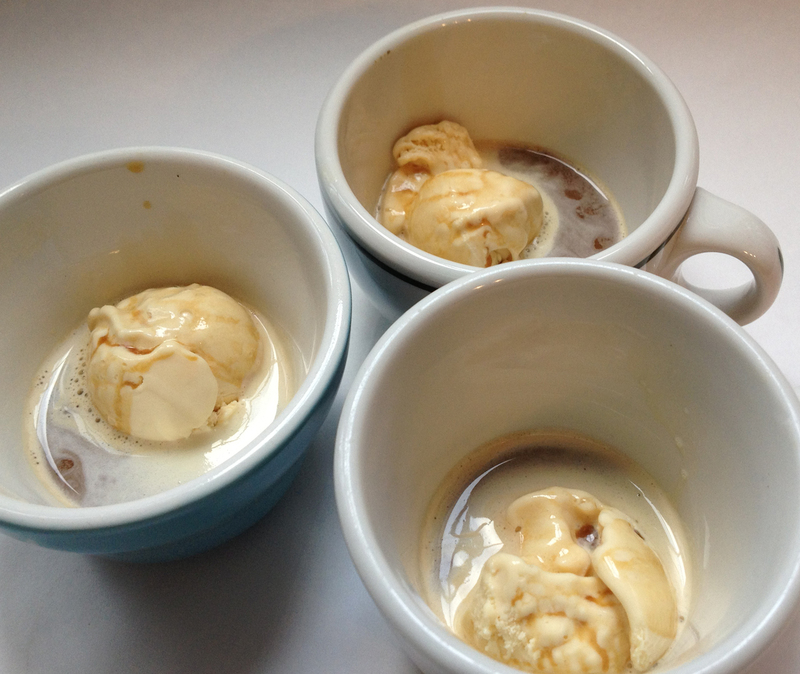 Affogato means “drowned” in Italian. But in any gelateria, it means a shot of espresso poured over a scoop of gelato. Bellisimo! 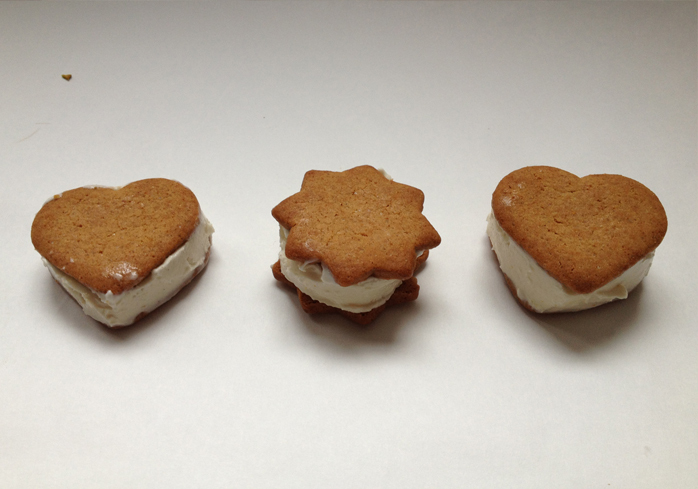 These mini gelato sandwiches feature apple/cinnamon ginger snap cookies paired with sesame fig gelato. Mini vanilla wafers or other cookies filled with gelato make tasty treats. Sandwiches pictured are drizzled in chocolate and dusted with nuts. Pure chocolate heaven. Made from 99% cacao coverture from France, Dutch cocoa powder, milk, cream, and a little magic! Tart and sweet, our lemon flavor comes from infusing real lemon zest into our creamy mix. We weave in streams of melted chocolate (aka stracciatella). Add a sprinkling of toasted pistachios and the result is one of our all time favorites! Think how fun it would be to have our vintage truck or retro-inspired cart at your next party. You will delight your guests, you will make the kids happy, and everybody will remember the occasion and of course, the gelato. Our Hello! Ice Cream truck and carts provide services for events in the Ann Arbor area. Allow us to serve your guests from the window of our beautifully restored 1965 International Metro van. Our chalk board will list your customized menu and we can decorate the truck to fit any theme. We have three styles of cart for you to choose from. One features whimsical activities including a waving hand (say hi!) and a customized iPad menu display. We also have a mobile gelateria-style dipping cabinet (not pictured) from which we can hand scoop gelato on-site at your event. Lastly, we have a small self-service cart which requires dry ice. We can provide self-serve stations or we can serve for you. Our courteous staff wear our signature polka dot bow ties. Here are some answers to frequently asked questions. Feel free to send us yours, and we will update this page as we go! How can I buy your products? Let us cater your next event! We can serve from our cart or truck! 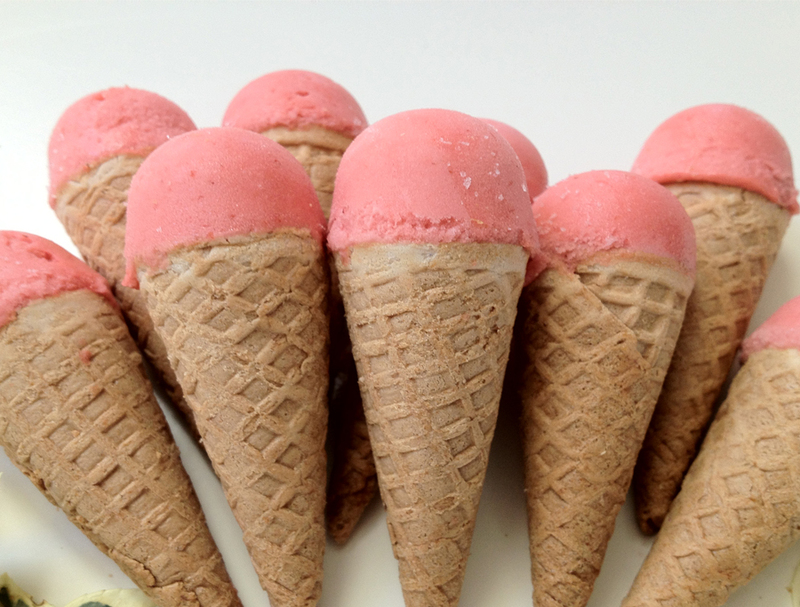 To have a catering menu e-mailed to you, please contact us at sales@helloicecream.com. What is the difference between gelato and ice cream? Gelato is the Italian word for ice cream and is really just a style of ice cream that originated in Italy. 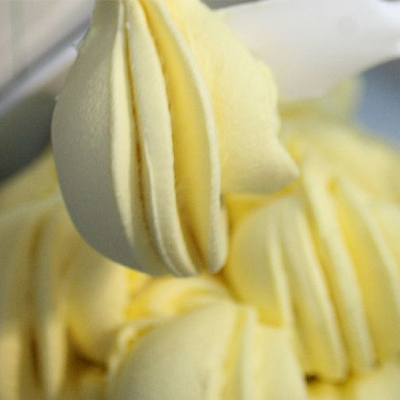 Traditional Italian gelato recipes have less fat and air than American ice cream. 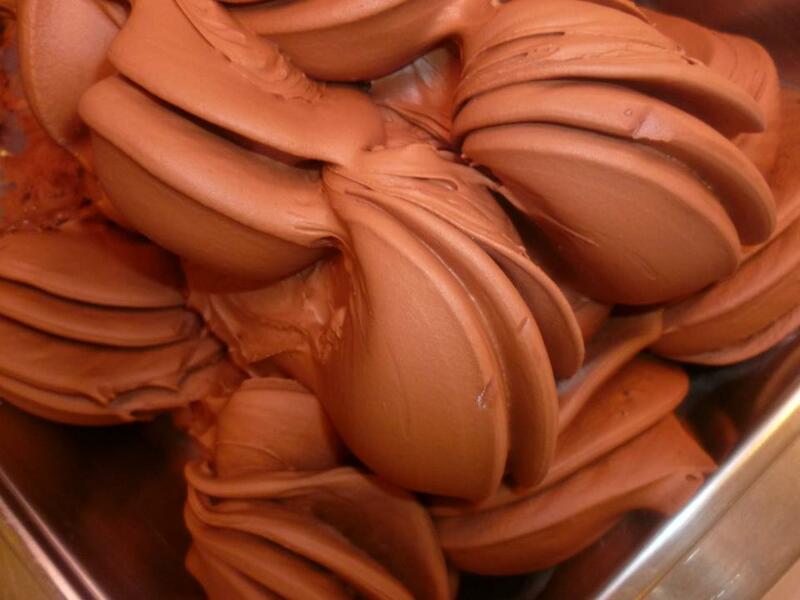 People often assume that gelato has more fat because of its creamy texture. But that creamy mouth-feel is due to a careful balance of ingredients that allow the gelato to stay frozen in a softer state. Gelato is also considered to have more intense flavor than ice cream. This is because fat coats the tongue, inhibiting your ability to taste, while the cold temperature of hard ice cream not only gives you brain freeze, it temporarily freezes your taste buds. On the contrary, when you eat gelato, the first sensation that hits your tongue is the flavor. Why don’t you call your products gelato, then?Most of our recipes are gelato recipes. True. But we prefer to refer to our products as “italian-style ice cream.” Why? We don’t want to limit what we do. And the word gelato seems to create a lot of confusion. We don’t know if using the term “ice cream” in our name makes things any clearer or simpler, but we feel that it fits. Do you use local ingredients?We use milk and cream from local dairy farms. We use fresh local fruit in season. We try to source most other ingredients from local suppliers with the exception of traditional Italian pastes the best of which only come from Italy. How on earth do you make your gelato taste so incredibly good?No one has actually asked us this, but we like to imagine they are thinking it! We use the best ingredients and carefully balanced recipes, of course. But the real answer is time and heat. Our 2 day process begins by heating the mix so that the flavors meld with the milk. cream or non-dairy ingredients. Then we age the mix overnight to let the flavor deepen. And finally, just before freezing, we heat the batch one more time! The result is an intensity of flavor you just can’t achieve quickly. Allow us to serve your guests from the window of our beautifully restored 1965 International Metro van. Our chalk board will list your customized menu and we can accessorize the truck to fit any theme. Our retro-inspired cart features whimsical activities including a waving hand (say hi!) and an animated iPad menu display. We are happy to create custom iPad displays using your photos and words. We can provide self-serve stations or we can scoop and serve for you.